Home / United States / How to stop the CIA from hacking your TV? SAMSUNG smart TVs are vulnerable to a CIA hack codenamed Weeping Angel, the WikLeaks Vault 7 files claim. But how can you stop your TV form being hacked? By REISS SMITH for Express — WikiLeaks has released Year Zero, the first part of a new series of leaks on the US Central Intelligence Agency (CIA). Vault 7 is said to be “the largest ever publication of confidential documents on the agency”, with Year Zero compromising 8,761 documents and files. One of the allegations included in the files is that the CIA has developed a smart TV hack codenamed Weeping Angel. The hack reportedly turns selected Samsung TV models into spy “bugs” which record audio and possibly video footage. 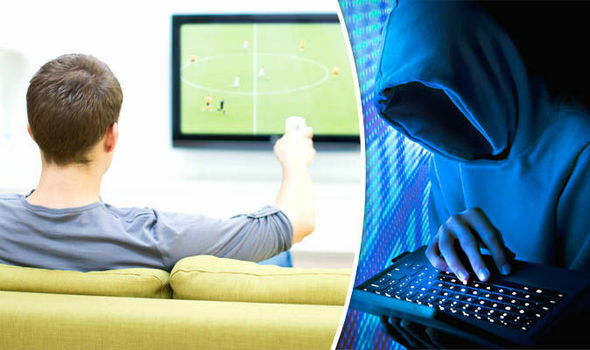 WikiLeaks, which was founded by Julian Assange, said in a statement: “The attack against Samsung smart TVs was developed in cooperation with the United Kingdom’s MI5/BTSS. “After infestation, Weeping Angel places the target TV in a ‘Fake Off’ mode, so that the owner falsely believes the TV is off when it is on. To tell if your TV is in Fake Off mode, check the back of the set for a blue LED. According to WikiLeaks, Fake Off powers down the screen and the changes the LED lights on the front of the set to make it appear switched off, but leaves a tell-tale blue LED on the back of the set switched on. The Vault 7 documents refer to a “USB installation method”, suggesting that CIA agents would need physical access to a TV to install Weeping Angel. However, security researcher Matthew Hickey has said that it is possible that the CIA harvest information remotely. He told Forbes: “Effectively they install an application onto your TV through USB, they go away on their spying business and come back with a Wi-Fi hotspot later on. The Weeping Angel hack is said to only apply to a specific group of Samsung TVs made in 2012 and 2013, running a very old firmware version. From 2012: UNES8000F, E8000GF plasma, and UNES7550F. From 2013: UNF8000 series, F8500 plasma, UNF7500 series, and UNF7000 series. The hack is thought to apply only to TVs running firmware versions 1111, 1112, and 1116. The Vault 7 documents suggest that TVs which have been updated to the most recent firmware version (1118) can not be hacked. “Updating firmware over internet may remove implant (not tested) or portions of the implant,” the WikiLeaks files read. To check which firmware version your TV is running and to update it – go to the main menu, choose support and the software update. Tags How to stop the CIA from hacking your TV?